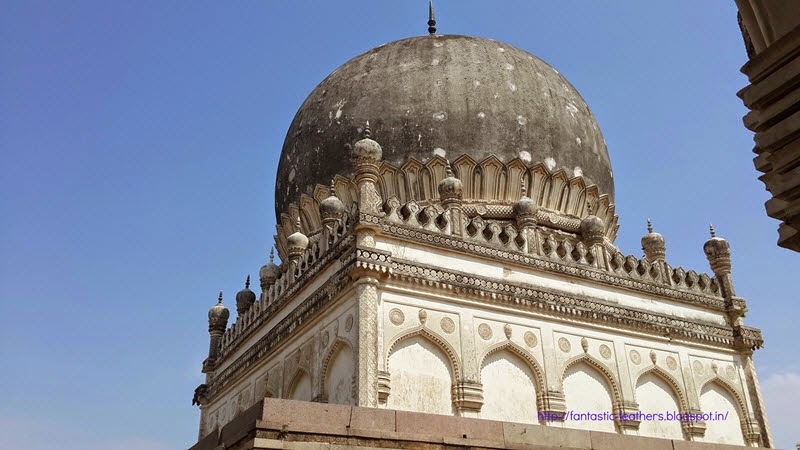 This architecture marvel which is also known as 'Seven Tombs' is very nearer to our residence. We have been avoiding going to this place till now, as many people told it's difficult with kids as we need to walk a lot inside. So, we decided to visit the place without taking kids. Now, time has come to visit this place on a weekend and I am all excited! 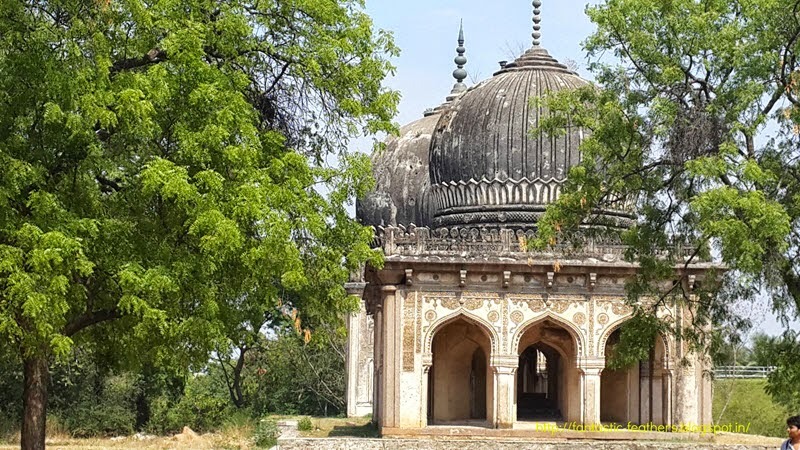 Qutub shahi tombs are tombs of seven Qutub shahi rulers who ruled Golconda for nearly 170 years. 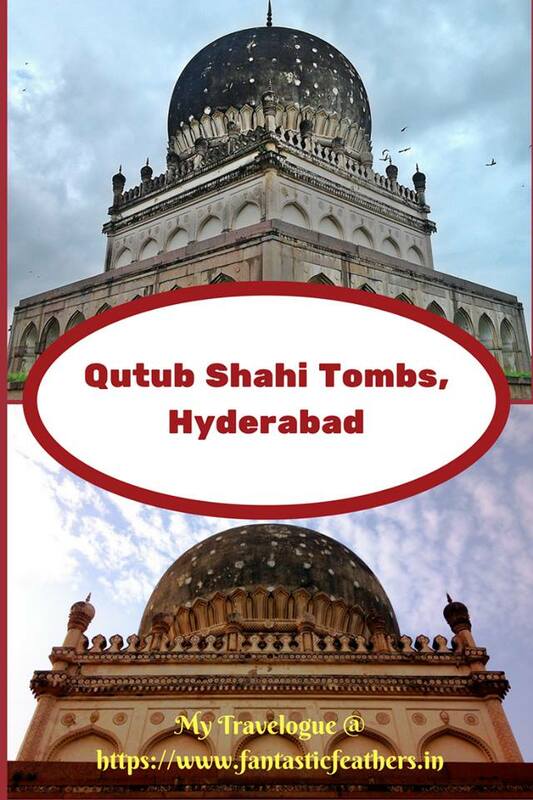 One of the main tombs is of king Sultan Quli Qutub-ul-Mulk. He is also the person who is responsible for constructing these tombs for Qutub shahi dynasty. 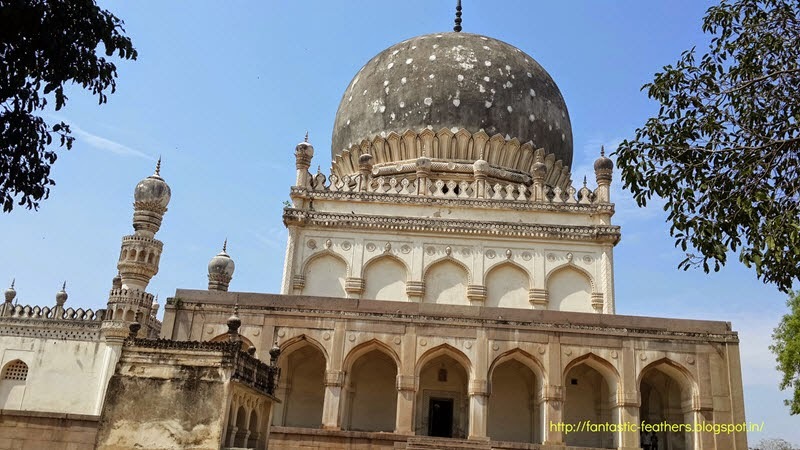 There are also some tombs of non-royal lineage like hakims and courtesans. 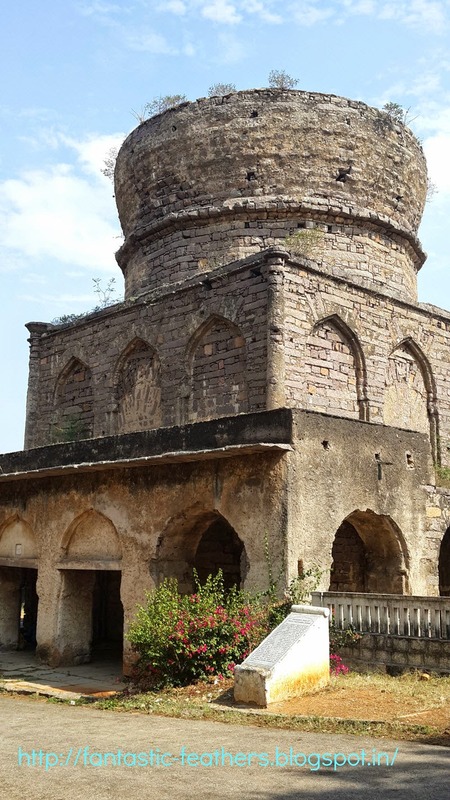 Big well (Badi bowli) - This is a large step well constructed in 16th century. The slopping platform which allows bullock carts to draw water from well is interesting to watch. 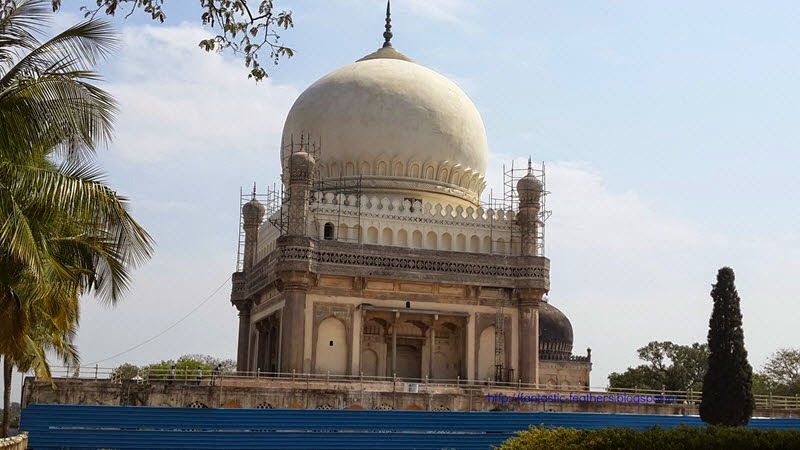 It is damaged and needs a renovation. 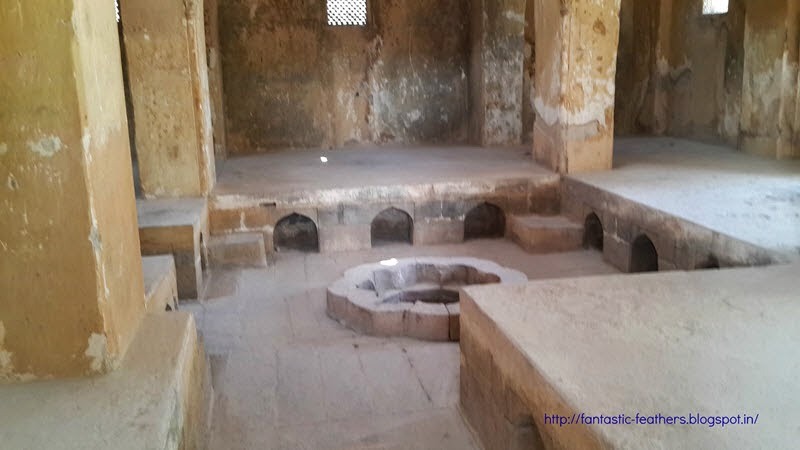 The mortuary bath is constructed by king Quli to perform last bath for the royal dead. It contains number of cisterns to supply hot and cold water. The main tomb and nice lawns with fountain. 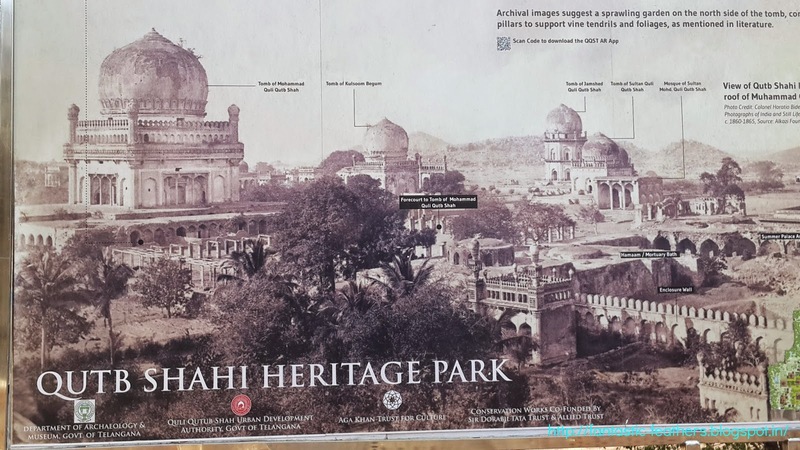 Main tomb and heritage park are under renovation now. So, that part of site is restricted for public visit. 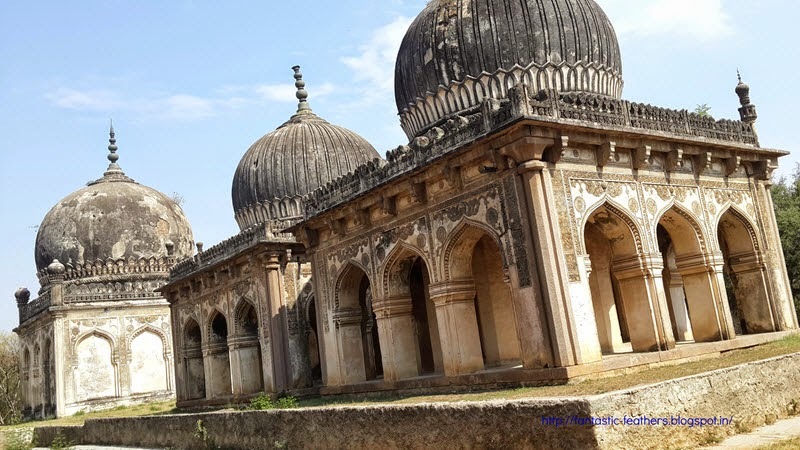 This place is in Shaikpet which is 2 kms from Golconda fort. 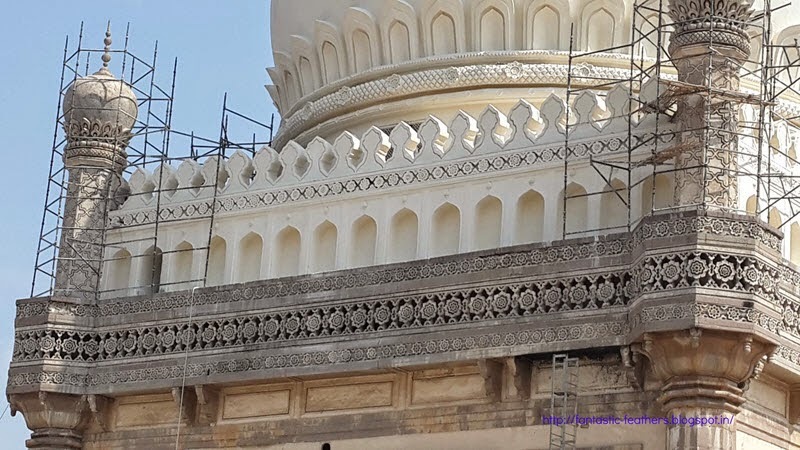 There is a nominal entry fee of Rs.10 and it is allowed to public on all days except Friday.